Glass is actually a solidified liquid. 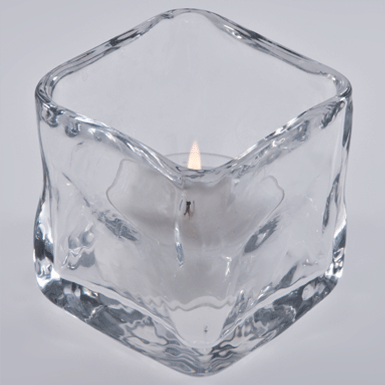 The Polar wind lights, each with large tea light prove more than just that fact. We have taken them into our hearts! Mouth-blown into the mould with a soft, inflated rim.